WASHINGTON -- Less than a week after the Trump administration threatened to impose tariffs of up to 25 per cent on foreign-built automobiles, the U.S. government on Tuesday said it would hold public hearings on whether the import of vehicles and auto parts represents national security risks. Any new tariffs could affect Canada-made vehicles, of which about 85 per cent are exported to the United States. 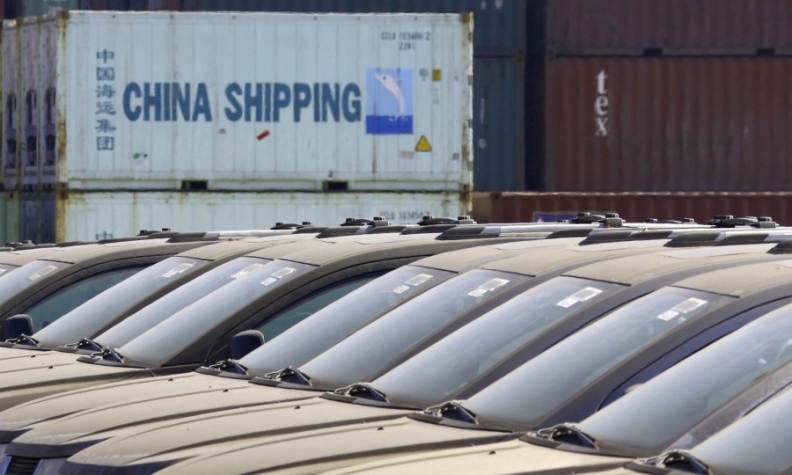 The Commerce Department announced in the Federal Register that it would hold two days of public comments in July on its probe of auto imports. Already, the tariff proposal has drawn condemnation from Republican lawmakers and business groups. A group representing major automakers said last week that it was "confident that vehicle imports do not pose a national security risk." The administration launched an investigation to determine whether vehicle and parts imports were threatening the industry’s health and ability to develop advanced technologies. The probe could lead to new U.S. tariffs similar to those imposed on imported steel and aluminum in March. The U.S. Chamber of Commerce noted U.S. auto production has doubled over the past decade, and said tariffs "would deal a staggering blow to the very industry it purports to protect and would threaten to ignite a global trade war." The department's notice sought written comments by June 22 with rebuttal comments due by July 6. Public hearings are planned for July 19-20 in Washington. "There is evidence suggesting that, for decades, imports from abroad have eroded our domestic auto industry,” Commerce Secretary Wilbur Ross said in a statement last week, promising a “thorough, fair and transparent investigation." The notice said Commerce wants input on issues including "domestic production needed for projected national defense requirements" and how the analysis changes if it considers U.S.-owned automotive capacity versus foreign-owned automakers. The department is also seeking comments on whether "innovation in new automotive technologies is necessary to meet projected national defense requirements" and on "displacement of any domestic automobiles and automotive parts causing substantial unemployment, decrease in the revenues of government, loss of investment or specialized skills and productive capacity." Last week's probe announcement sparked a broad selloff in shares of Asian automakers including Toyota Motor Corp., Nissan Motor Co., Honda Motor Co. and Hyundai Motor Co., which count the United States as a key market. President Donald Trump had told automakers this month he was considering tariffs of up to 25 per cent on imported passenger vehicles, up from 2.5 currently. The administration is also trying to renegotiate the North American Free Trade Agreement to return more auto production to the United States. Some officials say the auto tariff probe is aimed in part at prodding Canada and Mexico to reach agreement on new auto provisions. U.S. auto tariffs do not apply to vehicles assembled under NAFTA.